Ubuntu has a big list of printer drivers and was setup to print to a Samsung ML-1710 printer hooked up to a Windows XP machine in a few minutes. It actually prints better than the Windows drivers. By installing Xnest, you can use XDMCP protocol in Linux Terminal Server Client to connect to another Linux Machine as an X client. 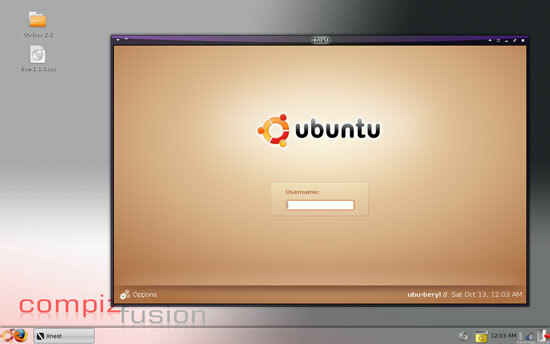 This picture shows a login to another Ubuntu machine - Ubu-Beryl. 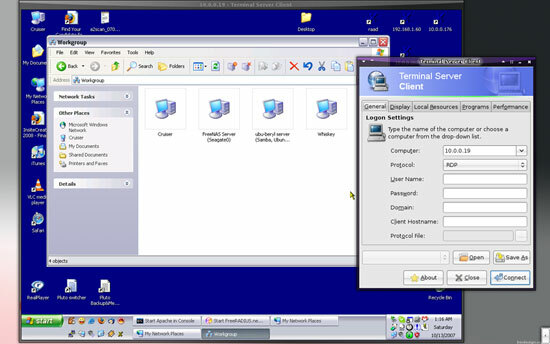 Multiple users can log in to the same machine at the same time with their own desktop. It runs very smoothly. Terminal Server Client logging in to another Ubuntu using XDMCP. Works very quickly and reliably. Succesful XDMCP X login to another Ubuntu PC. Terminal Server Client also works flawlessy when connecting to Window using RDP. 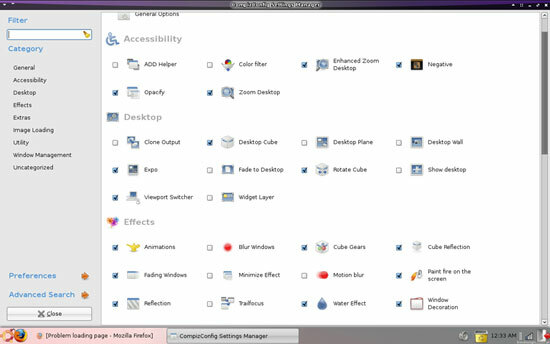 The Ubuntu taskbar is hidden to see the whole Windows screen. I use pyNeighborhood to help me make Samba connections. It is easy to manage files using Midnight Commander (MC, Ncurses). Ubuntu announces when there are updates. Imagine all those coders - tweaking source for a stable and smooth computing experience. Linux is the best and Ubuntu is my favorite desktop distro. You can change the root user password so you don't have to use 'sudo' to do things in root all the time. This gives you a traditional 'root' account on Ubuntu. You can also see the partitions of the laptop in Gparted. Sda1 is the laptop recovery partition. Sda2 and sda3 are the Windows Vista side of the laptop. The rest is Linux. This machine boots into Linux first. Disk Usage Analyzer gives a nice view and a lot of detail about disk and folder usage. Notice how the /mnt foler show the space in use on the freeNAS. This is the folder where the NAS mounts. 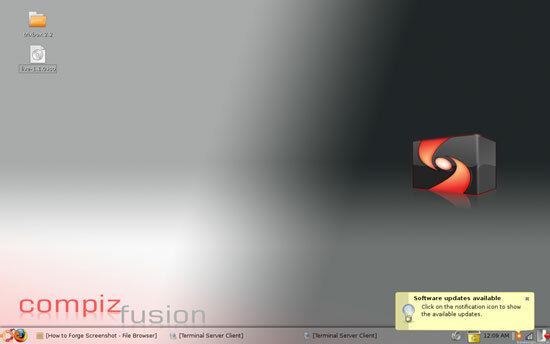 The Compiz (Fusion) Config Manager lets you adjust a lot of settings. The eye candy is superior to Windows Vista. A screenshot showing a login to IPCop which I use as my gateway/firewall. I am running trixbox in the free VMWare Server - it works perfectly. The version of trixbox is the version from nerdvittles.com. I carry around two Grandstream 101 IP Phones and use it for demos.